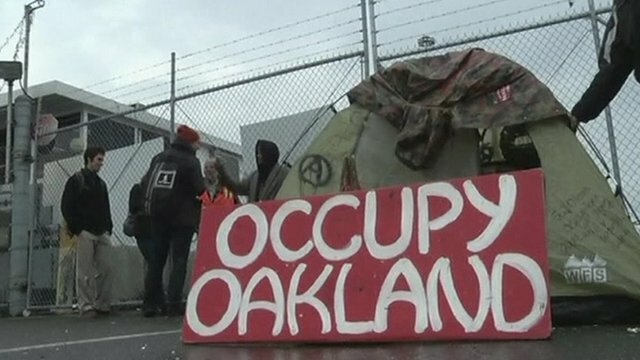 Occupy at Oakland and Long Beach Jump to media player Hundreds of Occupy protesters blocked gates at some of America's busiest west coast ports on Monday, causing the partial shutdown of several facilities. Police flood Occupy camp in LA Jump to media player Hundreds of police officers have moved in to clear Occupy protesters camped outside Los Angeles' City Hall, after campaigners ignored an eviction deadline. 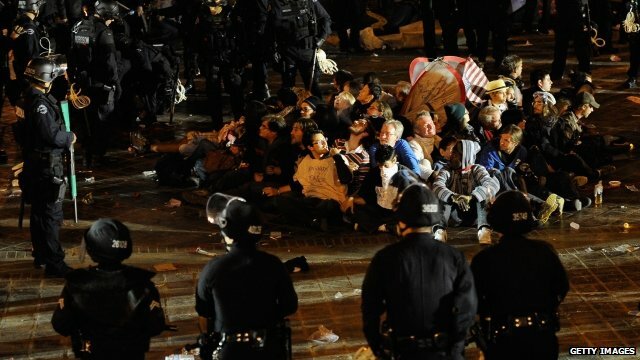 New York was the scene of scuffles on New Year's Eve as dozens of Occupy Wall Street protesters were arrested. 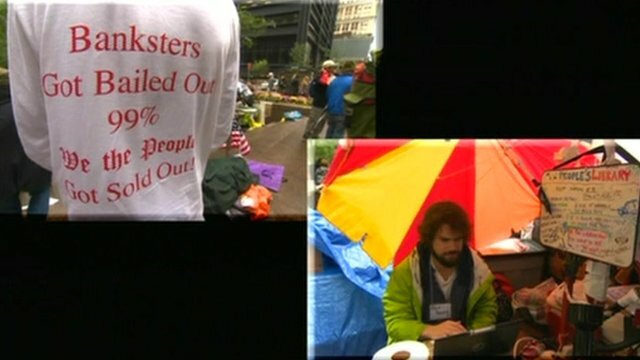 Go to next video: Will Occupy camps return in 2012?